If any of you have experienced the 'Sorry we are full ' statement when you roar up on your beloved Motorcycle, as you are classed as an extra out of The Wild One/ Easy Rider/Wild Angels and are about to tear up the land, terrorize the locals and leave the place in total disarray... Below are camping places who will indeed welcome you! Dent, with its white-washed cottages, cobbled streets and beckoning alleyways, with a timeless quality and long history. Visit the Dent Village Heritage Centre with many traditional artefacts on display and take a walk through time on the Flintergill Outrake Natural Trail - Natural Englands wonderful wonder! In spring the daffodils brighten up the gardens and the lambs frolic in the fields and in summertime the hedgerows and hay meadows come alive with flowers. 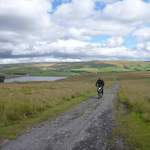 Within the Yorkshire Dales and in easy reach of the Eden Valley and the Lake District. the Lake District fells, over the Solway plain to the sea and the Scottish mountains, located three miles from the Cumbrian fell village of Caldbeck. in Caldbeck, close to Heskett Newmarket, Uldale and Wigton, with easy access to the Lake District, Cockermouth, Carlisle, Keswick and Hadrians Wall. Biker Friendly Campsites, Camping, England, Cumbria, |ake district, Eskdale, to Silloth, including the famous Beer Festival. 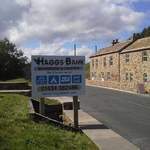 Within easy distance of Wigton on the C2C route, Cockermouth in Cumbria, in the Eden Valley, with a panoramic view of Cross Fell and the Pennine range. the pretty village of Morland, with the Mill Yard Café and the market town of Penrith and centrally located for the Lake District, Pennines, Yorkshire Dales, Hadrian’s Wall and the Borders of Scotland., glamping, posh camping, ancient market town of Kirkby Stephen, amongst the dramatic scenery of the Eden Valley An easy ride to a number of attractive villages, including Winton, Hartley, Nateby, Soulby and Ravenstonedale.bottom of Hardknott Pass, an extremely popular destination for Bikers. within easy reach of Ravenglass Steam Railway, Muncaster Castle, Wast Water, Scafell Pike and surrounded by the beauty of Cumbria.